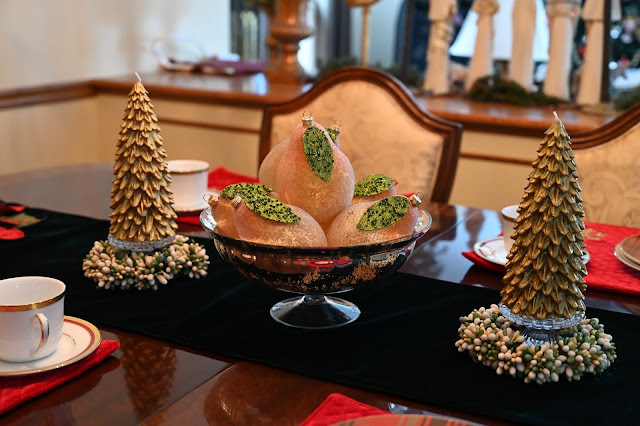 I've set the table for the holidays. 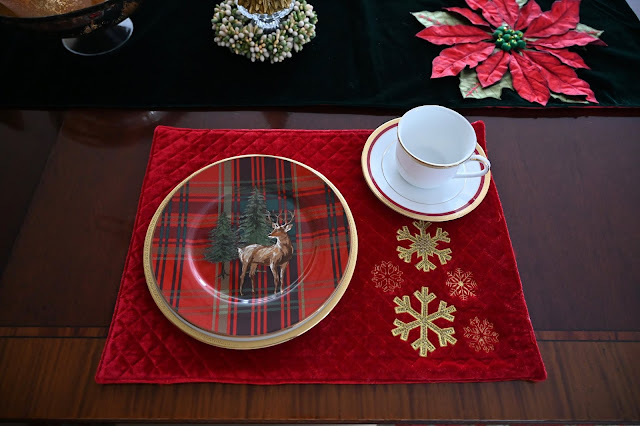 I enjoy seeing the table set so I decided this would be my everyday table during the holidays. 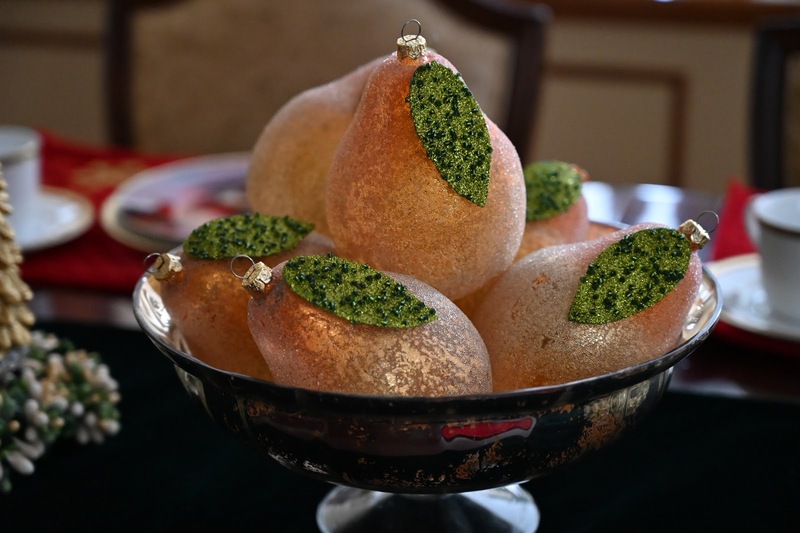 I found these bead encrusted glass pears a long time ago up in Gaylord, MI at a neat store called The Old Spud Warehouse. 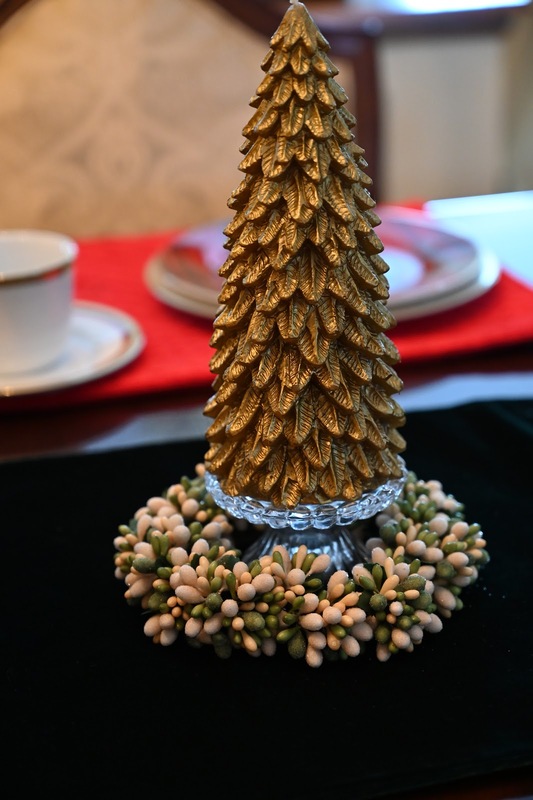 I've had the mercury glass bowl for a while and find a way to use it each year. The two gold tree candles came from a Lenox outlet I visited late this past summer. I got the two candle rings at a local gift shop. I love it when I look at things like this and can reminisce about where it came from. 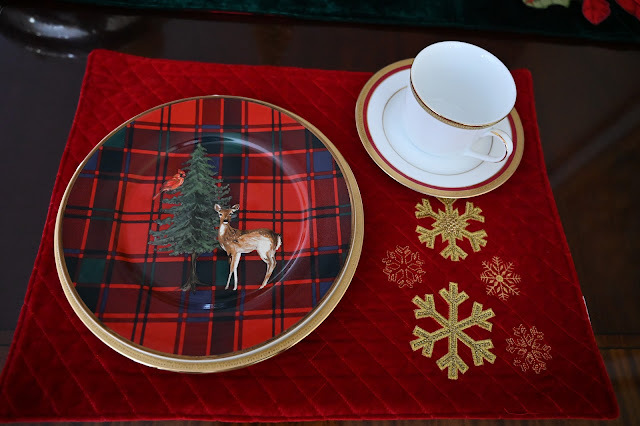 These dishes come with four images and two have deer, a buck and a doe. 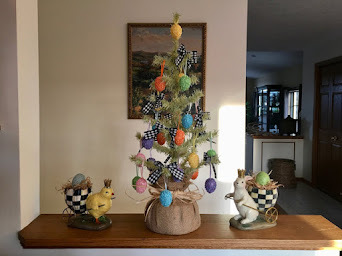 I spotted these on-line at Pottery Barn and knew I'd find a way to use them! 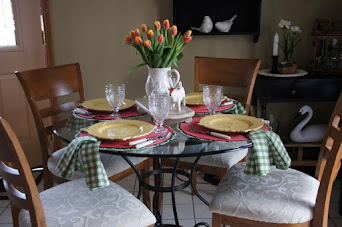 I chose to not put out flatware or napkins since this is a daily display. I just wanted to enjoy seeing the table set! These dishes have my favorite holiday elements like tartan plaid, gold accents, the color red and wildlife! 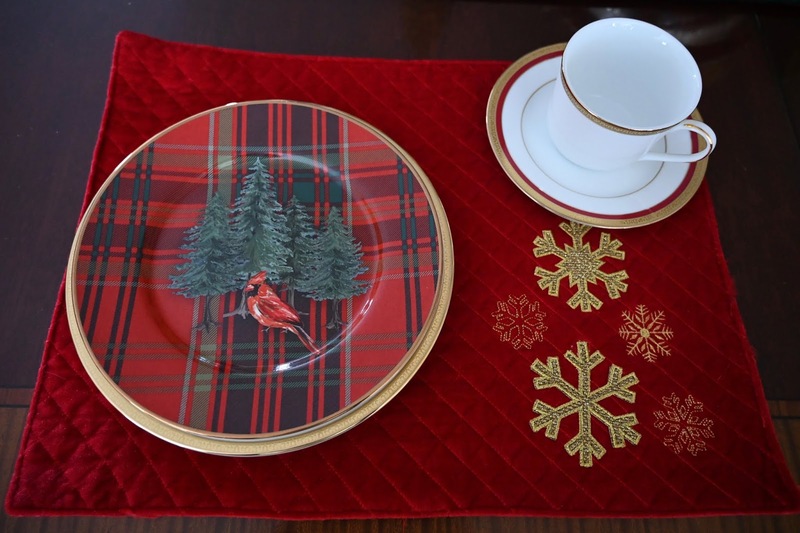 The red placemats came from Kohl's a couple of years ago. 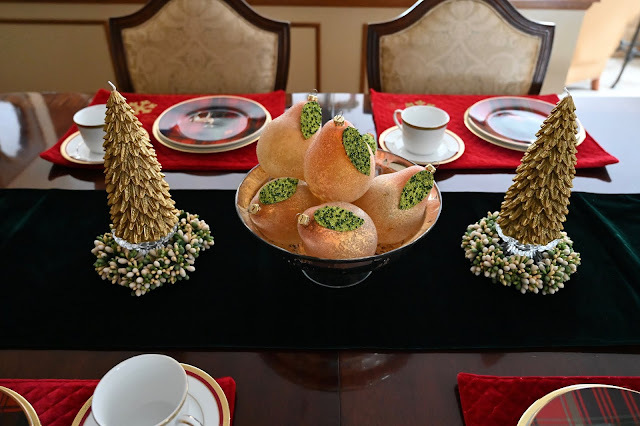 The Charter Club gold rimmed dishes are from a larger set I collected from Marshall Fields a while back. So that's my dining table for the Holiday! 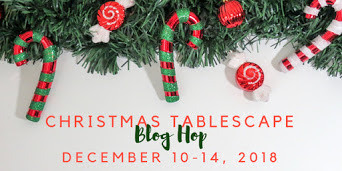 I will be joining another Tablescape Blog Hop next week and I hope you'll visit! 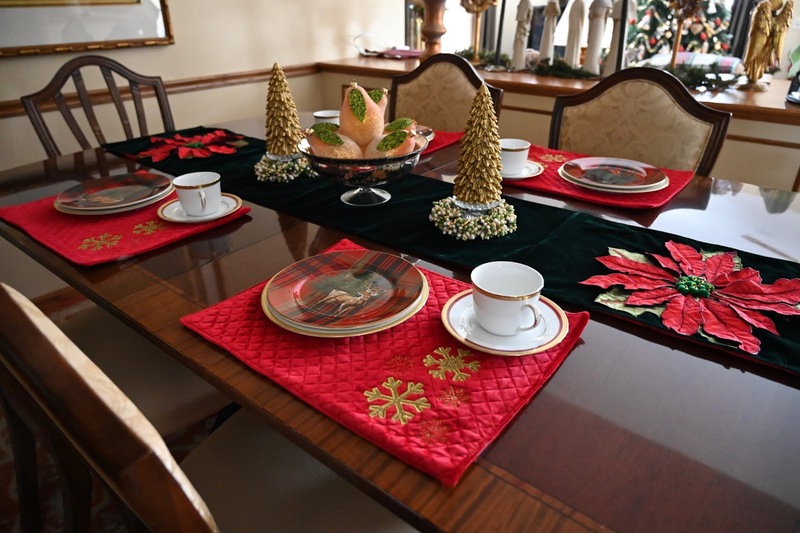 Your tablesetting looks really pretty and very Christmasy! 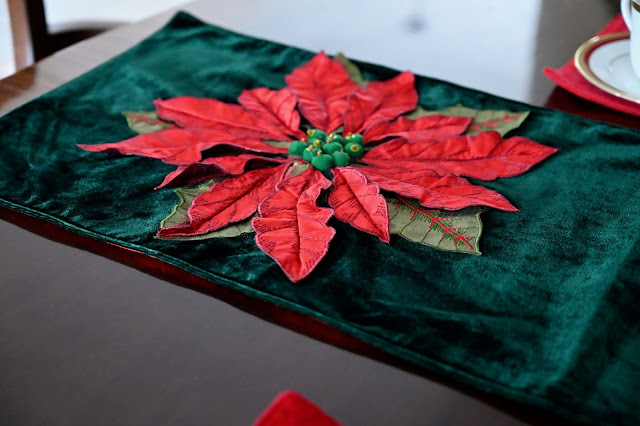 I love, love, love your velvet table runner with the beautiful poinsettias! My head is spinning with lots of inspirations here! 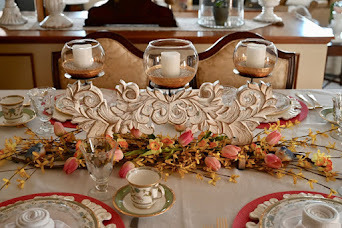 Beautiful table, Liz!! Your dishes are so pretty and I love the centerpiece! 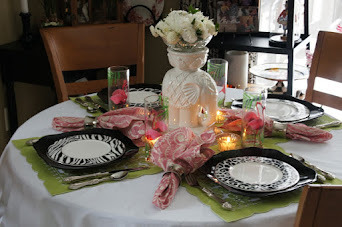 You always do the prettiest tablescapes. 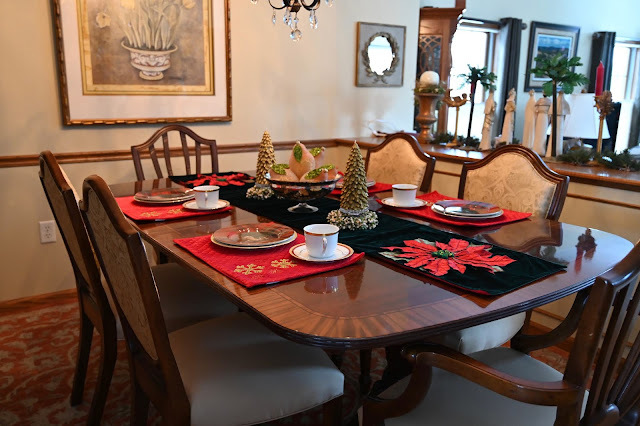 Love the poinsetta runner. Just gorgeous. It's beautiful, Liz! And I know the Old Spud Warehouse well and spend a good deal of time (and more cash than I should) there every summer. You must let me know if you're headed that way next year and we can get together for lunch at the cottage! Love the tartan plates on the quilted placemats! The bits of gold scattered throughout are delightful. 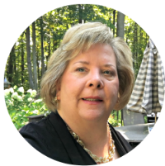 This is my third attempt to leave you a comment -- hoping switching to my laptop will work. The Old Spud Warehouse. I think you mentioned that place to me before. You said it was a “must visit” kinda place when in the area. No kidding!!! Those pearly pears are just beautiful! 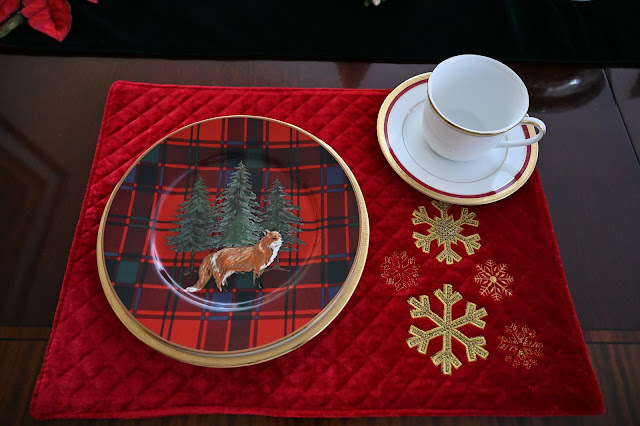 And you have to know how much I’m loving those plaid plates! Oh, WOW!!!!!!!! Perfect for this time of year! I am mad for plaid, and these plates are just too great!!! I never shop Pottery Barn online, but I really should. 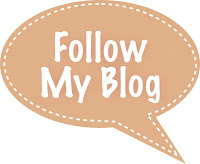 You have found some astonishing stuff on there!!! 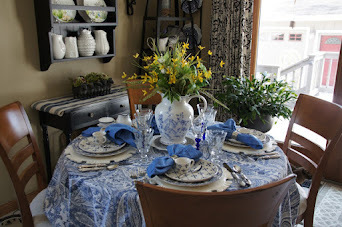 I agree with enjoying a beautifully, if not completely, set table. Guests visiting your home get the gist of it, and it just completes the space...especially during the Christmas holidays!